Luxury SUVs contain some of the most sophisticated technology and post interiors available in today’s automobiles. In making a Cadillac Escalade vs. Lincoln Navigator comparison, one will find some similarities but also some striking differences. These two have been battling head-to-head for more than a decade. Both Cadillac and Lincoln have brought excellent entries into the SUV segment. The Navigator came to market first in the 1998 model year. The model was based of the Ford Expedition’s platform, Ford’s full-size SUV at the time, as Ford owns Lincoln. The Escalade came a year later for the 1999 model year. When comparing Cadillac Escalade vs. Lincoln Navigator, car shoppers will see that both have very powerful engines with plenty of horsepower. 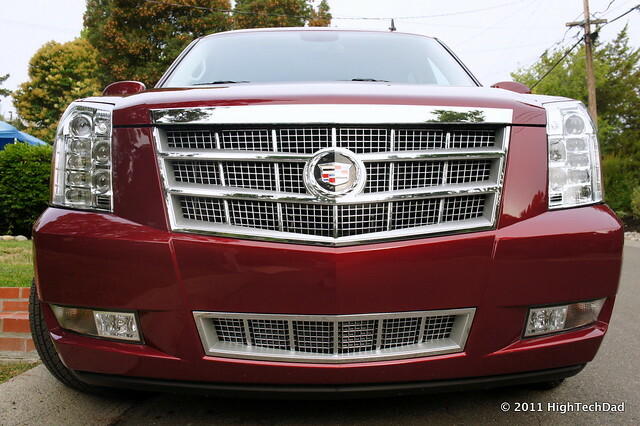 The 2012 Cadillac Escalade rear-wheel drive trim is equipped with a 6.2L V-8 that produces a total of 403 horsepower. 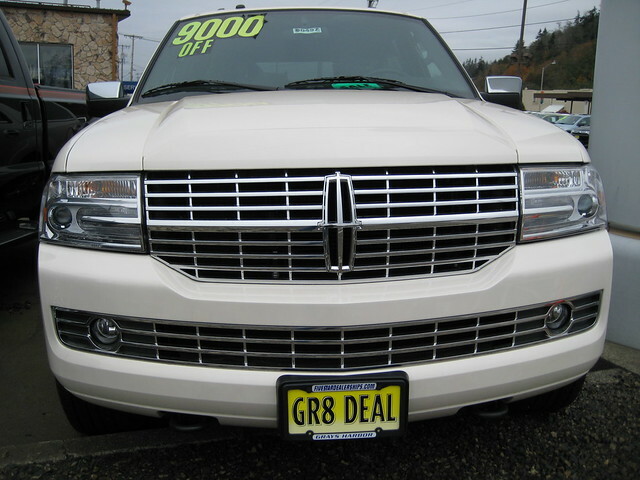 The 2012 Lincoln Navigator 2WD has a slightly smaller, 5.4L V-8 that delivers 310 horsepower. Both have an advanced fuel injection system and standard 4-wheel ABS, anti-lock brakes. Navigator gets about 20-mpg highway fuel efficiency while Escalade tops out at around 18 mpg. When driving on city streets, both of these vehicles have a rather poor 14-mpg average. Both vehicles come equipped with numerous standard features including xenon headlamps, fog lamps, remote keyless entry, integrated turn signal mirrors, and running boards. Aluminum wheels are also standard on the 2WD models. Front tow hooks and remote trunk release are a few of the extras at no extra charge. Escalade and Navigator both have a dual-zone climate control, leather-appointed bucket seats for driver and front passenger, heated driver’s seat, and passenger lumbar support. The navigation system and Bluetooth® connectivity is included. The premium sound system on both vehicles is superb. Escalade has about two inches more front head room and slightly more front and rear shoulder room than does Navigator. The overall width of the two vehicles is identical, and both seat seven passengers rather comfortably. Navigator has a longer wheelbase, and is over two inches taller than Escalade. The upholstery is of the finest quality, and both vehicles have very good soundproofing, resulting in a very quiet ride. Escalade has a pass-through rear seat, something that is curiously lacking on Navigator. The trip computer that comes standard on Escalade is also something not included in the Navigator base package. A full complement of airbags is found on both Escalade and Navigator, and both vehicles have the modern electronic stability control system. The telematics are slightly different. Escalade has the OnStar® package, while Navigator has SYNC. The latter includes hands-free calling, turn-by-turn directions, vehicle health reporting and traffic alerts. Escalade has a 100,000-mile powertrain warranty, compared to 70,000 for Navigator. These figures also represent the roadside assistance program limits. Cadillac includes a 50,000 mile rust protection warranty on Escalade, and both vehicles carry a four-year bumper-to-bumper warranty. Another major difference is the price. For the 2012 2WD models, Escalade comes out on top by over $5,000, with a starting price of about $63,000 compared to $58,000 for the Navigator. Of course, the actual price varies according to the optional features chosen and dealer pricing. But considering the standard equipment included, Escalade offers a slightly better value. Shoppers interested in a top-model SUV will have to make some careful comparisons between these two vehicles. The choice between a Cadillac Escalade vs. Lincoln Navigator may very well come down to the outward appeal and the interior design preference.